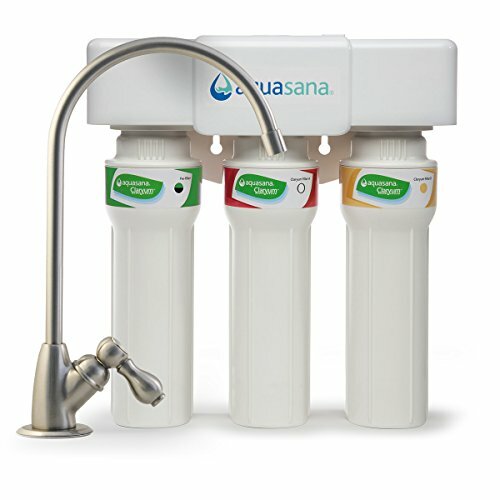 Instant access to healthy water that keeps you and your family hydrated all day, every day. Removes up to 99% of 68 contaminants including lead, mercury, asbestos, pesticides, pharmaceuticals, chlorine, chloramines and more. Full system certified to NSF Standards 42, 53 + 401, and P473. The only system on the market with Claryum filtration technology that filters out harmful contaminants while retaining natural beneficial minerals like calcium and potassium. Now 44% faster water flow - gives you healthy water at only 8 cents per gallon the included sediment pre-filter increases performance capacity to give you a full 800 gallons of healthy water. Zero additives and zero waste - no water is wasted during the filtration process and no harmful contaminants are added back into the water. Drink healthier water and use for better tasting beverages like coffee, tea, and smoothies. Enjoy better tasting food - steamed vegetables, rice, boiled pasta, soups. Even your pet can now benefit from healthier water.